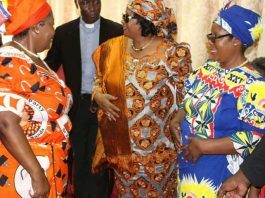 Amid joy on the continent following the emergence of Joyce Banda as Malawi and Southern Africa’s first female president, Abiodun Awolaja highlights some challenges which the new president has to tackle, as well as the Nigerian connection. NEWLY inaugurated Malawian president, Joyce Banda, is currently caught in a controversial climate over the death of her predecessor, Bingu Mutharika, who died recently, aged 78, and her own ascension to the Number One seat as the country’s and even South Africa’s first woman president. 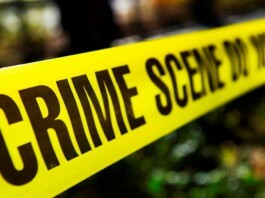 In a continent still very much at home with political occultism fuelled by traditional demonism, Banda’s macabre and dramatic relationship with the controversial Nigerian spiritualist, Prophet Temitope Joshua, is raising concerns about an international conspiracy in the death, some are even going as far as saying say ‘murder’, of Mutharika, an event which Joshua himself admitted that he predicted two times before it happened. Banda is being widely celebrated by women’s organisations across the continent as a hero who braved all odds to make the Presidency, but the seeds of future discord in the country are already being sown, with potentially devastating results. 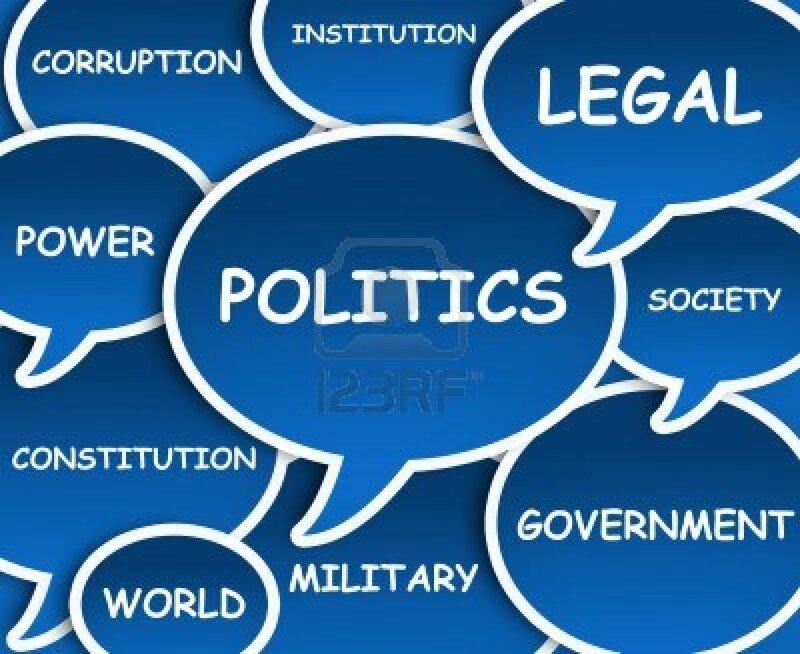 Although the Banda/Joshua controversy is easily dismissed by many commentators in Malawi, Zimbabwe, Uganda and Nigeria as a kind of wild goose chase, its potentiality to engineer violence and ethnic distrust in a country firmly gripped by widespread poverty is deadly. As Mutharika’s deputy, Banda, a former women’s rights activist who gained fame in the early 1980s and joined politics in 1999, had always expressed her desire to get the plum job, particularly after her quarrel with the late president resulted in her expulsion from the Democratic Progressive Party (DPP), which had itself been formed by the late president after he broke ranks with former President Bakili Muluzi and his United Democratic Front (UDF). 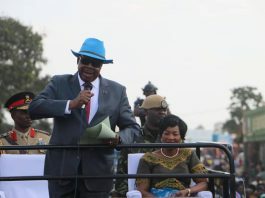 Banda had accused the late Mutharika of grooming the then Foreign Affairs Minister, Peter Mutharika, as his successor, arguing that such a hereditary transfer was not in the best interest of the country.”The chronic disease of third term, or chieftaincy, remains one of the greatest enemies of our efforts to achieve sustainable development,” she had said. But then she got expelled from the ruling party, going on to form her own People’s Party (PP), with fanatic appeal among the womenfolk. Banda had always spoken of the feminisation of poverty and her desire to tackle the menace. However, although sacked from the ruling party, Banda retained her vice presidential portfolio since she was jointly elected with the late president and had not been found guilty of any impeachable offence, although many had pushed for her trial on alleged mutiny after she publicly endorsed the widespread protests against the Mutharika government last July. 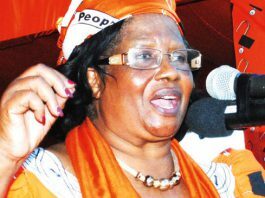 Mutharika himself accused her of being behind the protests and threat to the nation’s security. The country’s Nyasa Times also accused her of plotting a coup. By October, speculations were rife that Mutharika’s government was going to slam a treason charge on Banda, who was being accused in intelligence quarters, however political, of collaborating with foreign mercenaries to truncate the Mutharika government before the 2014 handover date. Banda was at the Synagogue Church of All Nations, Lagos, last December, and is a big fan of the Nigerian prophet, who she claimed healed her husband of stroke. On February 6 this year, Joshua predicted that an unnamed African president would die in April. On Thursday, 5 April, as accurately predicted by Joshua, President Mutharika had a cardiac arrest. By Friday, 7 April, 2012, the coast was clear for Banda to assume office. This made commentators like the Zanu PF minister, Professor Jonathan Moyo, to suggest that Mutharika’s death was engineered by his political enemies using the Joshua prophecy as an attention-diverting ploy and calling for a closer scrutiny of the Banda-Joshua relationship. 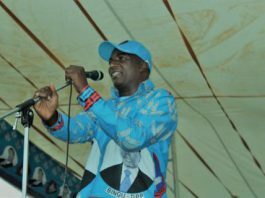 Moyo alleged that President Mutharika had died as a result of an intelligence operation. “TB Joshua’s involvement in this tragedy smacks more of a plot than a prophecy. One thing for sure is that there is no prophecy here but just a prediction if one is to give him a benefit of doubt,” he said. Immediately after assuming office, the new president began purging the government of the loyalists of the former president. She sacked the Inspector General of Police, Peter Mukhito, on April 7, replacing him with Loti Dzonzi. “Although we are in mourning, certain decisions cannot wait,” Banda told a news conference in the capital, Lilongwe, last Monday. Perks Ligoya, Reserve Bank governor, was sacked and replaced with Mary Nkosi, the country’s first female in that position. Patricia Kaliati, the Information Minister who publicly insisted that Mutharika was alive more than one day after his death, was given the boot, and so was Bright Malopa, head of the Malawi Broadcasting Corporation. Malopa had used the state media to campaign against Banda after her expulsion from the DPP. However, having assumed the Presidency at last, Banda faces the daunting task of being the Messaiah of Malawi. Coming into office with a baggage of political immorality and from a background of spiritualism, Banda has to prove to all, first, that the Banda/Joshua conspiracy hypothesis is downright silly, chronically uninformed, even insulting. She also has to prove that the sacking of IGP Mukhito was not to stop investigations into Mutharika’s ‘murder.’ The suspicion, however uninformed, is rife and the new president may be sitting on a keg of gunpowder by ignoring it. For one, many of the country’s citizens, commenting on the social media, wrote off the president’s claim that she was mourning since she had not waited for the burial ceremonies for the late president to be completed before sacking all his loyalists from the government. Banda is seen by these commentators as carrying out an impatient political vendetta and striving hard to continue her pet project of painting everything associated with the former president in dark hues. If these were all that Banda had to tackle, she might make a great president. Unfortunately, however, Banda’s feminist activism has no correlate in proven managerial ability and, although a staunch critic of Mutharika’s privatisation and monetary policies and presumably an ally of the International Monetary Fund (IMF), which came down hard on the former administration, it remains to be seen if she would put viable alternatives in place, far from the realms of revolutionary rhetoric. Indeed, just how Banda would rule Malawi as an unrepentatnt feminist is unclear. She told the Associated Press (AP) in February: “The women didn’t go to school when they were young because parents preferred to send their brothers. The women couldn’t access loans in their own right because the banks sought the approval of a male dependent, the women couldn’t make decisions at household level because they didn’t bring any income into the household.’’ The country looks up to Banda to solve this problem through a well articulated government policy and if she does well, it may be the beginning of her success as president. On the other hand, tactless handling of the women’s cause would spell doom for her presidency and her largely untested, structurally defective People’s Party (PP). 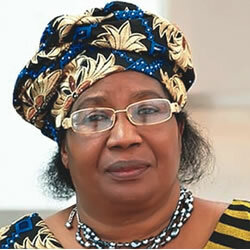 Yapita ijaIs Joyce Banda the answer to Malawi ’s problems?